29,5 x 48,3 cm - 11 9/16 x 19 in. Goupil-Boussod-Valadon, Paris, 1888 - Paul Gallimard, Paris, 1889 [Selon Manson, 1927] - Alex Reid & Lefevre, Londres, 1927 - Knoedler & Co., New York, mars 1927 - John Hay Withney, New York, 1928-1982 - Vente Sotheby’s, New York, 5 mai 2004, n° 20 - Vente Sotheby’s, New York, 4 novembre 2009, n° 41 - Collection particulière. Paris, Bernheim-Jeune, 1903, n° 14 - Bruxelles, La Libre Esthétique, 1904, n° 27 - Londres, New Gallery, 1908, n° 69 - Brighton, Public Art Libray, 1910, n° 111 - Paris, galerie Manzi, Joyan & Co., n1912, n° 114 - Copenhague, Ny Carlsberg Glyptotek, 1914, n° 69 - Montréal, Reid & Lefevre, 1942, n° 66, p. 47 - Londres, Tate Gallery, 1960-1961, n° 18 (repr.) - Washington, National Gallery, 1982-1983, n° 12, p. 38, repr. p. 39 - Paris, Ottawa, New York, 1988-1989, n° 237, repr. p. 403 [New York seulement] - Washington, National Gallery, 1998, n° 72, repr. p. 127 - New York, The Frick Museum, 2000-2002, En prêt. 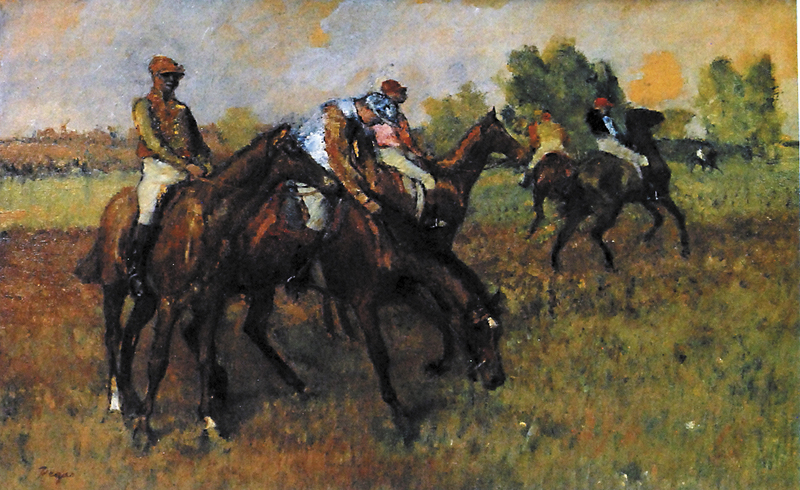 Vauxelles, Les Arts, septembre 1908, p. 21, repr. p. 26 - Alexandre, Les Arts, août 1912, repr. p. IV - Lemoisne, 1946-1949, II, n° 679, repr. p. 381 - Rewald, GBA, supplément 1973 - Lassaigne, Minervino, 1974, n° 697, p. 118, repr. p. 119 - Johnston, 1982, p. 134 [Mentionné en rapport avec L. 702] - Gordon, Forge, 1988, repr. 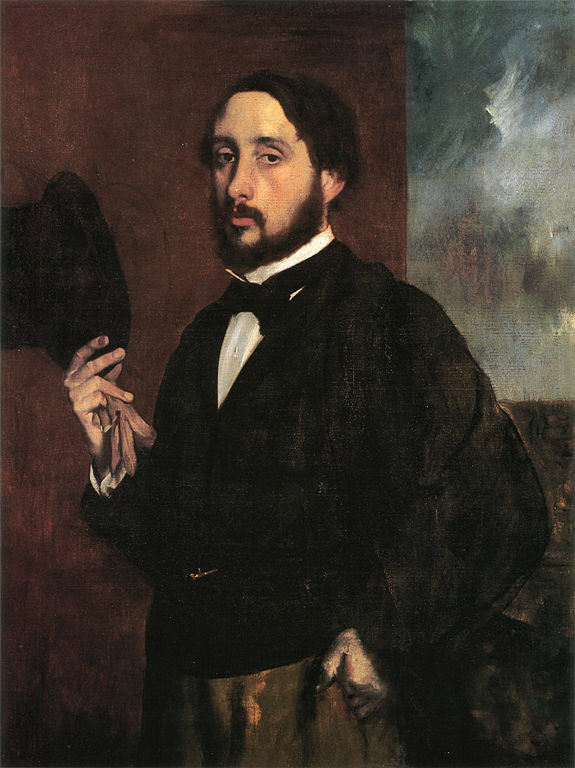 p. 80 - Degas in the Norton Simon Museum, 2009, II, fig. 21a, repr. p. 180.